It’s been a big week for Oscar precursors, though the most important thing to remember is that all of these organization are different from the Academy and might not actually predict the nominees since it’s a separate voting body. “Green Book” took the top prize from the National Board of Review, while “Roma” scored with the New York Film Critics Circle. “A Star is Born” earned a few top prizes from NBR, and Regina King took home Best Supporting Actress prizes for “If Beale Street Could Talk” from both. Though it may not be the most important group, the Washington D.C. Area Film Critics Awards selected those four films and “The Favorite,” which missed out with both NBR and NYFCC but took home a staggering ten prizes from the British Independent Film Awards yesterday, for their Best Picture lineup. If there were still only five nominees for the Best Picture Oscar, those five would likely fill that list. 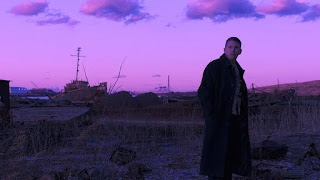 The other big boost was for “First Reformed,” a film I wish I had liked, which earned screenplay prizes from NBR and NYFCC and a Best Actor prize for Ethan Hawke from NBR, and I think it’s time I officially added the film into my Oscar predictions for both categories. “Cold War,” which I had the chance to see last week, reaped Best Foreign Film trophies from both, though I still think “Roma” is ahead in the Oscar race. “Vice” is the only other expected contender that missed out across the board, with the Coen Brothers’ “The Ballad of Buster Scruggs” making a surprise appearance in the NBR Top Ten list along with the likes of “A Quiet Place” and “Can You Ever Forgive Me?” Regina Hall also pulled off an unexpected win for Best Actress with NYFCC, so it’s possible she might make a splash with the Golden Globes and even end up with an Oscar nomination despite not previously being discussed so seriously as a contender. Another announcement happened this past week which definitely has no influence on the Oscars but to me serves as an interesting extended template for who might end up on the Oscar ballot: the Satellite Awards nominations. This year, their lead acting nominations were divided into drama and comedy or musical, and they have three Best Picture categories: Drama, Independent, and Comedy or Musical. With eighteen nominees, we got a good deal of expected choices, with only “Vice” missing out. The inclusions that aren’t likely to translate to major awards bodies are “Hereditary,” “Leave No Trace” (though I’d love that), “Private Life” and “A Private War,” as well as “Nico, 1988,” a peculiar choice that I saw at Tribeca this past year. Also a question mark is “Mary Queen of Scots,” while “BlacKkKlansman,” “First Man,” and “Widows” are going to need a major boost from the Globes or SAG. The Best Director race in particular includes the six strongest contenders, who will have to be trimmed down to five for the Oscars. Peter Farrelly for “Green Book” is likeliest to be omitted, with Barry Jenkins for “If Beale Street Could Talk” and Spike Lee for “BlacKkKlansman” as the next most vulnerable. Right now, I’m keeping “First Man” in my Best Picture predictions even though I think it might get overtaken by “First Reformed” if it misses out on its expected Golden Globe bids. I am, however, swapping out director Damien Chazelle for the man he beat for the Oscar two years ago, Barry Jenkins. Ethan Hawke is replacing Clint Eastwood, and, though I’m really not happy about it, I’m getting rid of Daniel Kaluuya and Elizabeth Debicki, though I really hope to swap them back in, with Adam Driver and Amy Adams temporarily inheriting their spots. I’m not getting rid of Melissa McCarthy just yet because I think she can rebound from a few unfortunate snubs along the way. Other minor modifications include “First Reformed” over “Roma” in Best Original Screenplay, “A Star is Born” over “First Man” for Best Adapted Screenplay, and “Never Look Away” over “Girl” for Best Foreign Film, though I have yet to see the latter. Much, much more next week once Golden Globe nominations are announced!